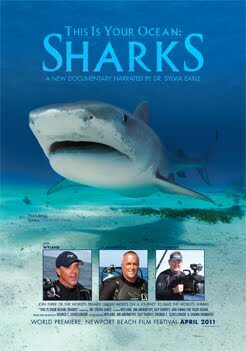 In the new shark documentary, "This is Your Ocean: Sharks" photographer and artists Jim Abernethy, Wyland and Guy Harvey strive to paint a new picture of sharks. A picture of a creature which plays a critical part in the ocean - and a creature in trouble. Director George C. Schellenger gives us this preview. 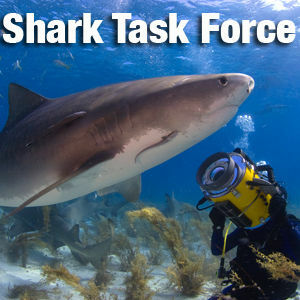 For more on sharks, visit The Shark Task Force. Why wait a whole year, for just one week on sharks? Emma the Shark's role in "This is Your Ocean: Sharks"
As we celebrate the World Premiere of "This is Your Ocean: Sharks" - it's time to meet Emma, the 14-foot Tiger Shark we first met several years go. Once you take a swim with her, you'll never see sharks the same way again. 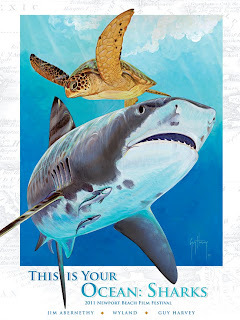 "This is Your Ocean: Sharks" featuring Wyland, Guy Harvey and Jim Abernethy debuts at the Newport Beach Film Festival, Friday, April 29, 2011. Directed by George C. Schellenger. To help celebrate Earth Day - and the release of the new film, This is Your Ocean: Sharks, director George C. Schellenger gives us this preview of the film. In order to replace fear with respect, you have to get close. 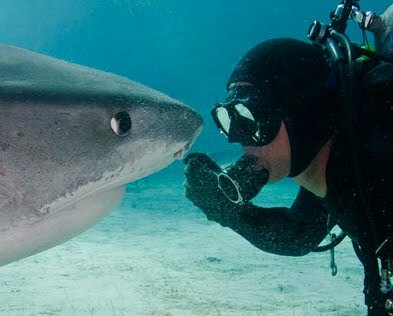 Here's a clip from This is Your Ocean: Sharks. Check out Emma's new page on Facebook! The new documentary featuring the work of Jim Abernethy, Dr. 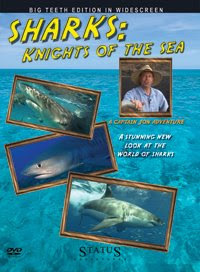 Guy Harvey and Wyland in an effort to save sharks - finally comes to the big screen this April. You'll be able to see if first at the Newport Beach Film Festival, April 29, 2011 at the Lido Theater. We're all extremely proud to have it hosted there - it's a homecoming for Wyland. If you're in the area, please check it out!